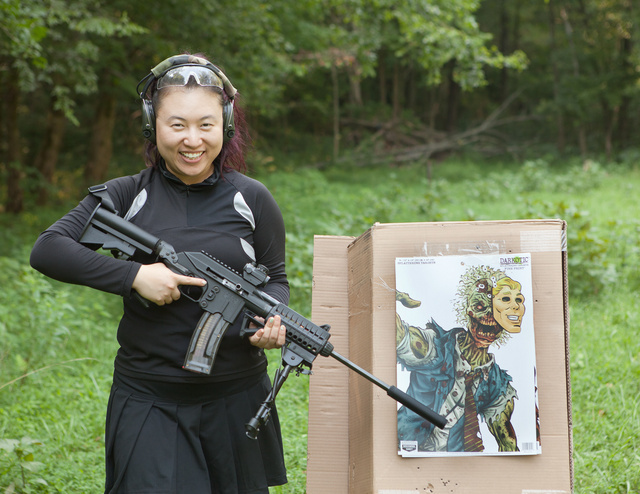 Grace wanted more trigger time with her laser-equipped LCR. Ended up trying that, S&W 317 and 63 rimfire revolvers, a quiet Walther P22, Kel-tec PF9-22, Star S (.32ACP quasi-1911), HK P7, Kahr P9 and the SU22 shown here. Star S was definitely the winner. After firing pistol from ranges of four steps and all the way out to fifty (Grace’s effective range with S&W63 turned out to be about 30 yards), we went to rifle. Red dot sight on a suppressed rifle is definitely like cheating compared to handguns. PS: Ear muffs were used because were were also firing unsuppressed pistols. 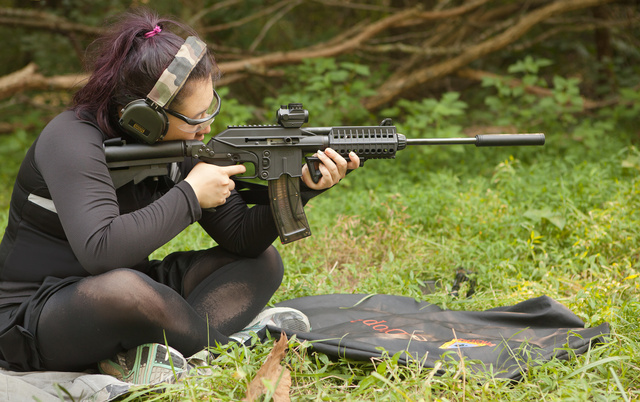 This entry was posted in interesting people, light/laser, pistol, rifle, self-defense, sound suppressor, training, weapon and tagged 22LR, ahppy, girl, LCR, range, ruger, SU22. Bookmark the permalink. 2 Responses to Today’s range trip. What is the buttstock on that rifle? It’s a Keltec but that’s not a Keltec stock. Is the interface custom or is the piece available that would fit another Keltec rifle?